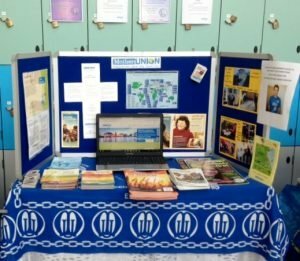 The Unit works closely with the Faith and Policy, Action and Outreach and the Finance and Administration Units in the Diocese to engage in promoting the work of Mothers’ Union. This ensures a consistent message in our order to meet our objectives. Our work is focussed on campaigns both local and national, fundraising for Mothers’ Union campaigns. Resources are available in The Diocese to promote membership and awareness of our work. Away From It All Caravan holidays. We believe in the importance of families and in quality time spent together to build meaningful relationships that strengthen families. AFIA holidays help people who are experiencing difficulties in their family life. 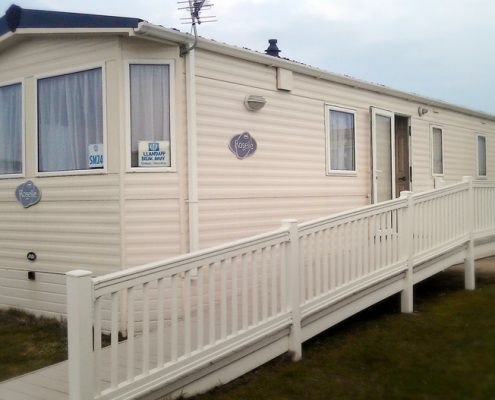 We have a static caravan, Llandaff Breakaway, at Trecco Bay, Porthcawl to facilitate holidays for families. Support for families of prisoners at Parc Prison. Mothers’ Union members regularly visit prisons offering support to people in prison and their families whose lives have been impacted by imprisonment. Support for young people in the community by the giving and sharing food and cooking skills. The YMCA/Gwalia Housing project in the Cynon Valley Deanery is a successful project where members provide a monthly fresh food box for young people to learn life skills. A similar project has been established in the Rhondda Deanery as well, working again with Gwalia Housing who are supporting people with mental health problems. Support for families at Baptism services. Members offer support and friendship to families coming to church for the baptism of their children. Some of our members become involved with the families before the service and keep in touch with them afterwards. Women and girls throughout the world are subject to many different forms of violence – physical, sexual, emotional and financial abuse. This violence affects women and girls from all backgrounds and happens across all stages of life. It can be committed by partners and family members as well as strangers. Every year, the 16 Days of Activism Against Gender Violence campaign unites individuals and organisations to raise awareness of, and call for an end to, all forms of violence against women and girls. Mothers’ Union believes in particular that prevention needs to focus on teaching children and adults about loving and respectful relationships; that there are laws against all forms of violence and abuse and the means to enforce them; that those experiencing violence are supported, and that perpetrators are brought to justice and rehabilitated. We believe children should be valued as children, not consumers. Our Bye Buy Childhood campaign aims to empower families to challenge the commercialisation and sexualisation of childhood through positive action. As individuals, we can feel small against the power of commercialisation. However, together we can, and will, make a difference. A difference that will transform the lives of children. Mothers’ Union have called on members of the General Synod of Church of England to engage with the concerns parents are voicing over the impact of commercialisation on children and on the well-being of the family. The Marketing Unit is also responsible for Fundraising in the Diocese. Our local focus is raising money to support Away From It All holidays and to maintain our caravan in Trecco Bay. This year, we have decided to raise funds to replace the existing caravan with a brand new up-to-date caravan that meets the needs of families we support.